You must make reservations at least 5 minutes in advance of the time at Rinaldo's Casa Cucina. 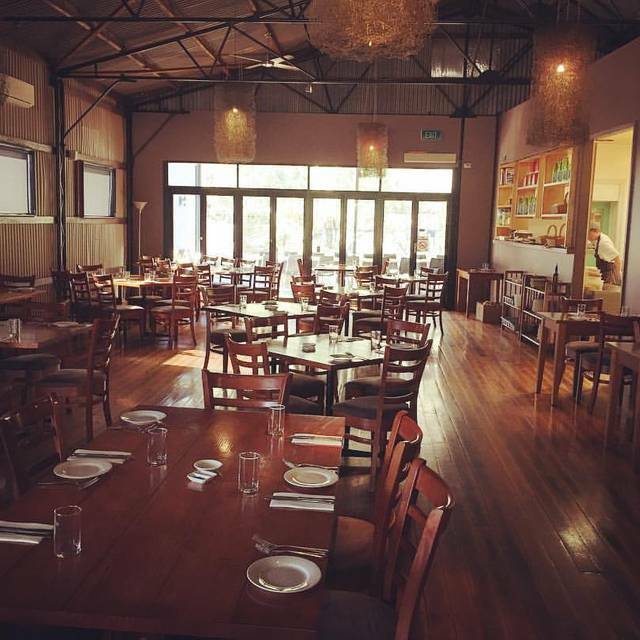 Situated in a delightful art deco building in the dining hub of Wangaratta’s Riverside Precinct, Rinaldo’s Casa Cucina offers relaxed, informal Italian dining using local and imported ingredients. 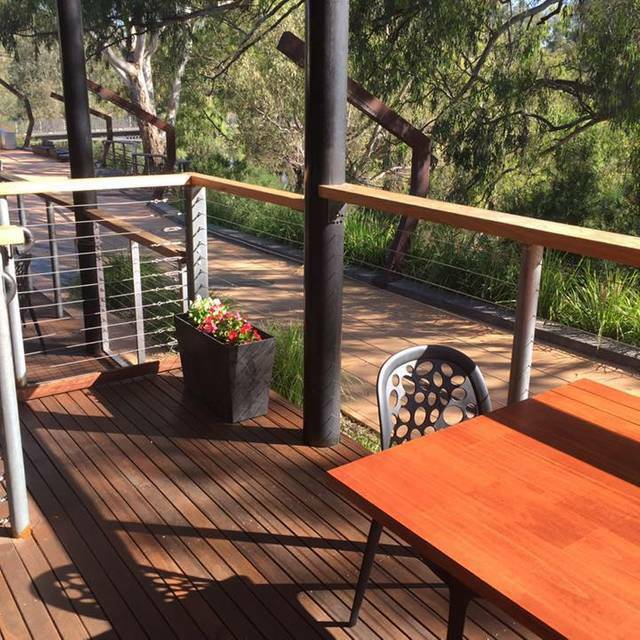 Enjoy a casual lunch or afternoon snack with a glass of local wine on the large undercover deck overlooking the Ovens River. 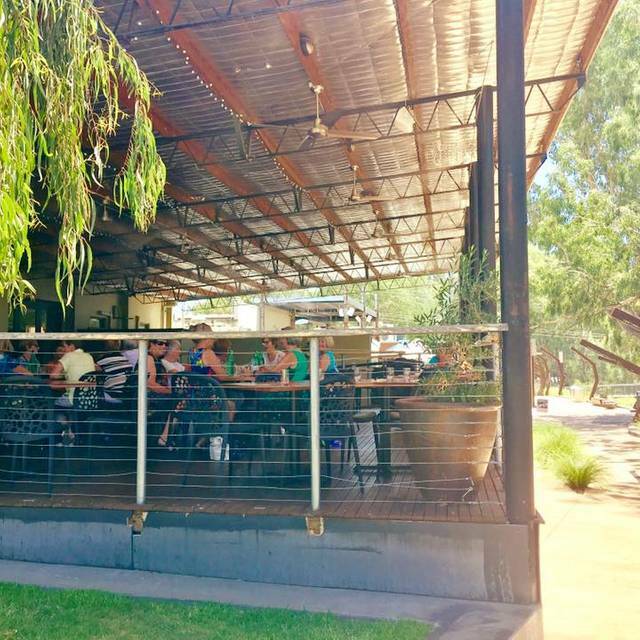 Rinaldo's riverside deck features misting fans and heaters for year round comfort. 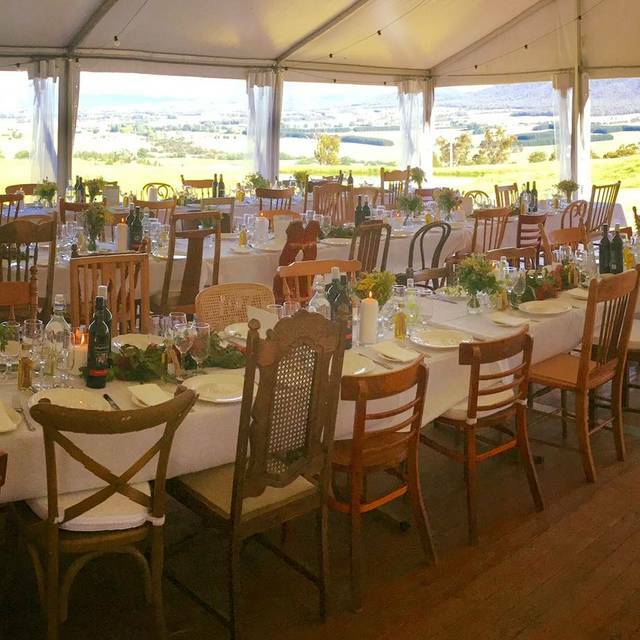 The seasonal dinner menu may feature zucchini flowers filled with Tolpuddle Cheese goat curd, balsamic glazed grilled quail, crispy pork belly on polenta, hand made gnocchi and beef from chef Adam Pizzini’s own farm. Sample one or more of the 13 flavours of house made gelato, available to eat in, or take away to enjoy, as you walk along the Ovens Riverside promenade. Food was amazing! Service fabulous! We had a wonderfully enjoyable night out at Rinaldos. The food was great as to the ambience. The service was a highlight. Our waiter and waitress were just gorgeous and ensured our night was perfect. 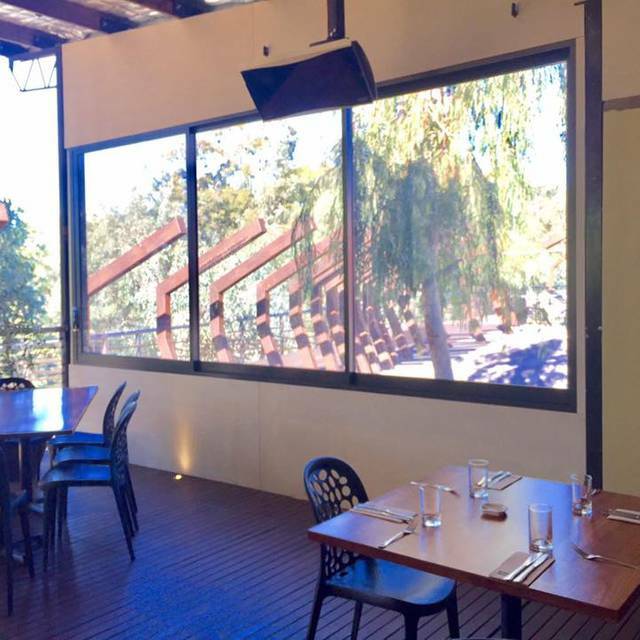 Beautiful food, great service and location overlooking the Ovens River. 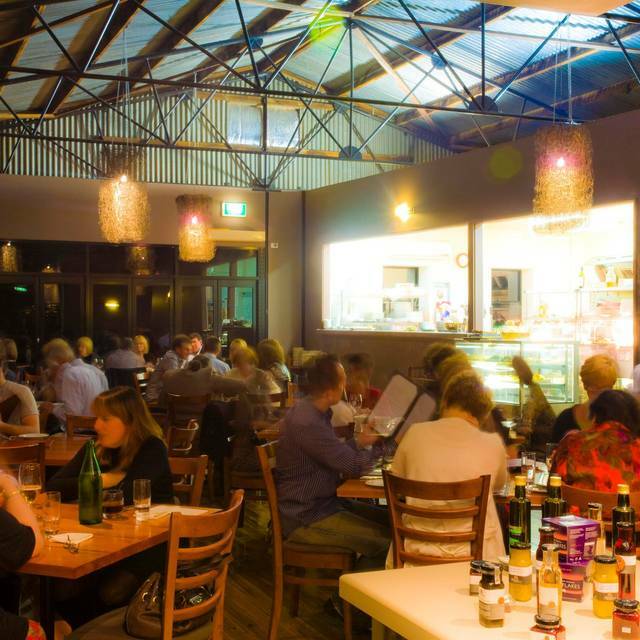 Fantastic Italian restaurant in Wangaratta. Excellent waiter. Food was magnificent. Sardine entree magic. Trout primi memorable. Wines great. Beautiful calamari for entree, it was delicate and tender, for main I had the beef that was cooked just right for my liking, &, how can you go to an Italian restaurant without a Tiramisu, it was perfect and the service was great too. 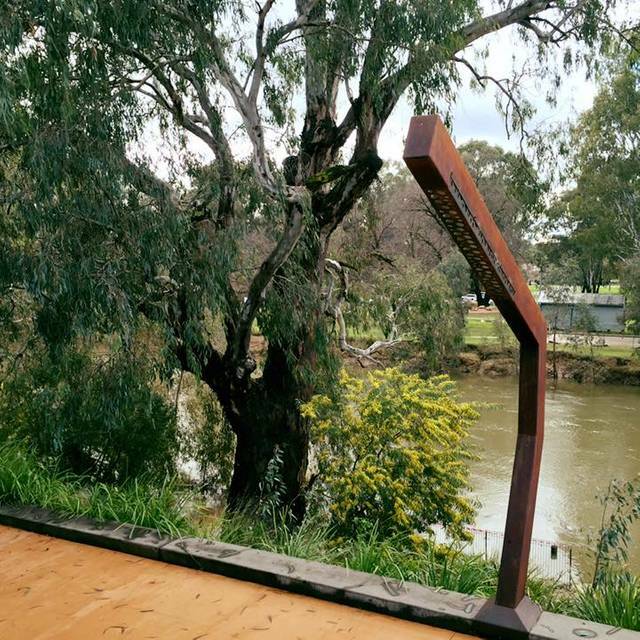 I’ll be back on my next visit to Wangaratta. Excellent service and amazing food, nothing was a problem. Great service, beautiful food and gorgeous outlook. The food is always amazing at Rinaldos, I’ve tried a number of things on the menu, and the standard is always high. Fresh few ingredients and super tasty every time! Service outstanding, food excellent. Highly recommended. Enjoyed our meal there overlooking the river. You are just never disappointed at Rinaldo’s they just do it all so well !! Always nice to visit Rinaldo's , great food and service! 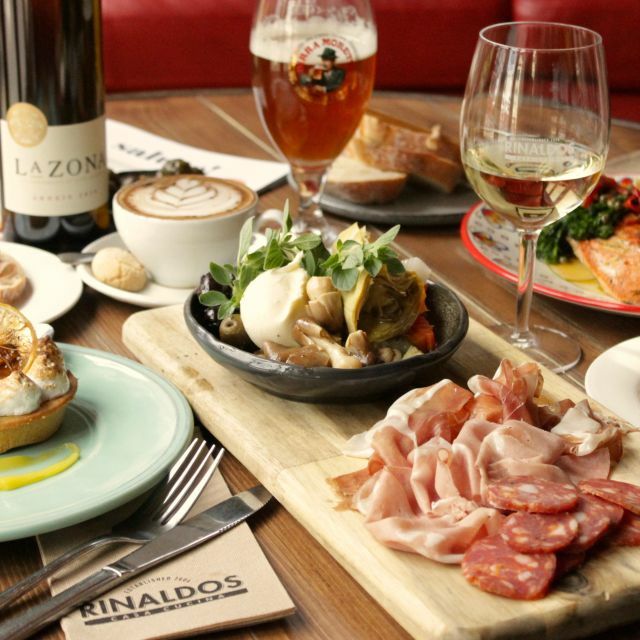 We absolutely loved dining at Rinaldo’s - food is amazing tasting and can tell quality ingredients used. Ambience is beautiful looking over the river and the fairy lights. Wait staff are delightful and really make the experience. Highly recommend this restaurant and will certainly be back again. I booked friends in for a dinner on a special night out, I have feedback it was a great choice, they really enjoyed the meal and have suggested we all return together soon. Each year we make the trip from Mulwalla for a movie and a family meal at Rinaldo's. Great food, service and atmosphere and you have to try to gelato. Really great food but a bit disappointed our favorite steak dish has been cut from the menu. Steak we had was excellent anyway. Good service and atmosphere and had a really nice time with old friends. The food is always delicious. The service is excellent! It was a birthday dinner for my wife. Service was very slow with the exception of asking for drinks. We left and did not wait any longer to be offered dessert or coffee as it was getting too late to wait. Some cold water would of been nice too as it was warm sitting outside. Busy time of year with Christmas around the corner but the food was still served in a timely manner. The staff accommodated an extra person at our table without any fuss and were attentive to our needs. Food was delicious and serving sizes were ample. Lovely position, friendly staff and nice food. We found the view and atmosphere complemented the excellent food. The duck is phenomenal and the pasta is second to none. I'll be back. Always a pleasure to visit this restaurant. Staff are very polite and well versed in providing excellent customer service- as good as any high class restaurant. Food is fabulous and the menu choices are extensive. We loved the atmosphere and service of this restaurant. The price was pretty steep. No complimentary house bread and olive oil/butter, yet we were paying for $16 for entree which was only small 2 pieces of battered Zucchini flower. And the main was overcooked spaghetti carbonara $25 with hardly any pork cheek pieces on the plate, was pretty bland too. Lamb two ways was nice. This restaurant will have an extra 10% surcharge of weekend/ Public Holiday. While holidaying in the area, we visited Rinaldo's to quietly celebrate a special occasion. 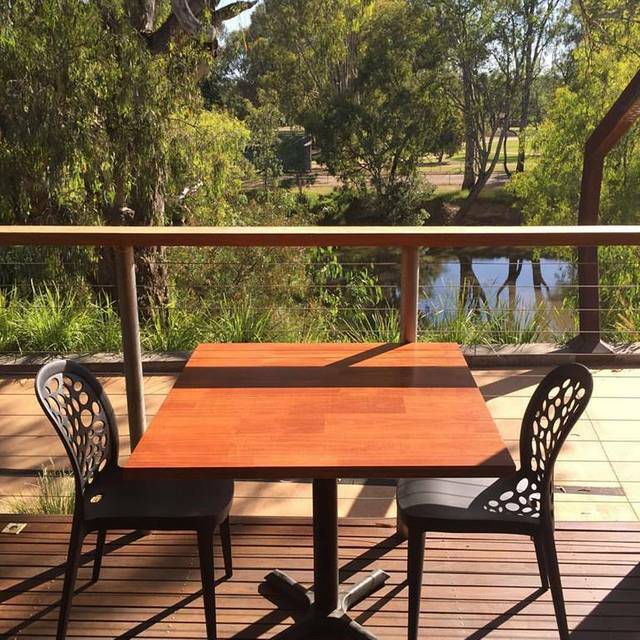 We secured a delightful table overlooking the river and parkland. I was pleased to see that the wine list contained a large number of local wines and upon making our selections the drinks arrived promptly. We both ordrered the house made gnocchi for main course and it was perfect. A decent serve of plump pillows of potato goodness with a rich ragu topped with parmesan. Simple and deeply satisfying. The banana fritters for dessert were very interesting, a little rich and sweet for my palate but I could easily imagine many, many people enjoying them. The wait staff did an excellent job of looking after our needs through the evening. Overall it was a very good dining experience. We would recommend Rinaldo's Casa Cucina to our friends and we will return when in the area in future. We had a great evening. The chef catered for a special diet request very well. Thank you. Good menu with reasonable pricing. Love the indoor outdoor feel. Pity it was cold weather will definitely be back in the warm weather to have those doors open. Very kid friendly and great value kids meals. Meals came reasonably quickly. Taste good. Awesome food as always...didn't leave enough room for dessert coz I ate all the gnocchi, which is always spectacular. Great atmosphere and lovely service. Fantastic food and service, always consistent, great restaurant. Always a pleasure to dine here. I always leave wondering how I can create these meals at home. Food and service were outstanding, unfortunately on that night there were bands playing in a nearby park which meant music was a loud thump thump! This is a rare event! Loved it, great introduction to Wangaratta night life! Always have a great time dining at Rinaldo's. The food is fantastic and the staff are always so friendly and helpful. Always a delight to dine at Rinaldos. Friendly staff and ambience is not loud. Birthday celebrations were made special by the staff.